Please print and send this survey to anyone you know who is in solitary in a CA prison (Ad-Seg/ASU, SHU, PSU, or Condemned Units/death row). They can write the PHSS Committee to End Sleep Deprivation, P.O. Box 5692, Eureka, CA 95502 and send their survey responses to us, also. Guards are jarringly waking prisoners every 30 minutes in solitary confinement units throughout CA prisons in the name of “security/welfare checks.” The so-called “checks”are causing serious, ongoing sleep deprivation, and sleep deprivation is torture. This practice serves no welfare or security purpose; it only harms the prisoners, mentally and physically. “Security/welfare checks,” purported to be for suicide prevention, are a result of Coleman v. Gov of California, a lawsuit regarding the CA Department of Corrections inadequate mental health treatment for seriously mentally ill CA prisoners. Unfortunately, these brutally loud and traumatizing “checks” are being used as a blanket practice, whether prisoners are suicidal or not, and despite the fact that denial of sleep is devastating for the human mind and body. This is not suicide prevention; it is another form of torture used on CA prisoners. Please help us end it. Below the following letter and article you will find a COLLECTION OF LINKS to Sleep Expert Reports, Media Articles, Videos, Personal Testimonies, Attorney Reports, Scientific Articles, Letters in Opposition, and a formal Complaint to the UN Special Rapporteur on Torture. First, here’s a letter from a prisoner in Pelican Bay SHU after a month of the checks, and an article from the Del Norte Triplicate. To understand the negative effects of the so-called “security/welfare checks” on inmates you must know what it entails. First off the design of the [Pelican Bay] SHU has wide open cells with the whole front wall/door made of perforated metal (a screen of holes) and the pods are narrow and short which ensures that the sound made in the pod/block is amplified more than it normally would be and everything sounds like it is happening in or right n front of our cells. Now with that in mind the following happens every 30 minutes. The pod door will slam open, the pod door makes a loud mechanical sound when opening/closing as it’s opened by the block tower remotely, then a correctional officer (C/O) will walk in and press a metal wand to a button next to each of the 8 cells in the pod to make contact . A “wand” is a device that records the C/O making contact with the button next to an inmates cell. In the day (6:00am to 10:00pm) the wand makes a high-pitch beep when making contact and at night (10:00pm to 6:00am) it doesn’t beep. The wand when hitting the metal button makes a loud bang sound of metal hitting metal which is often made louder by the C/O’s intentionally or just lazily hitting it harder to make it worse for us. The C/O’s have to walk up and down the stairs in the pod to get to the top tier and back down. The C/O’s usually stomp up and down the stairs with no regard for the sound that it causes. C/O’s also carry a a large amount of keys that loudly jingle when walking in the pod. When leaving the pod, the pod door is slammed shut which makes an even louder sound than when opening. The pod doors have a large lock and chain attached that must be removed and replaced when it is going to be opened and when closed and is loud. At a minimum all the above will occur 48 times a day. This all started on 8.2.15 at 10:00pm. Prior to all this the pod door would open/close only around 13-14 times per day and only 4 times of that at night. Also on top of that we can clearly hear all the other pods’ doors (6 pods per block) opening/closing and the beeping from the wand pushing their buttons. At night the pod doors are especially loud. This happens 24/7. So I’m hoping all the complaints they are hearing from the outside make them change their mind about the 30 minute checks. A Pelican Bay State Prison inmate says a “security/welfare check” policy implemented Aug. 3 has caused him and others sleep deprivation and demanded the policy stop. A letter to the secretary of the California Department of Corrections and Rehabilitation from John R. Martinez, a prisoner held in Pelican Bay’s isolated Security Housing Units that were the subject of a landmark settlement Tuesday, says the security/welfare checks take place every 30 minutes preventing inmates from sleeping. In his letter, Martinez notes the policy has been justified to him by Coleman v. Brown, an ongoing federal court case covering all California prisoners with serious mental disorders, according to CDCR’s website. In 1995, “The Court said that prison officials violated the cruel and unusual punishment clause of the Constitution because they did not provide adequate mental health care” and the case continues to influence CDCR’s policies for providing prisoners with mental health care. CDCR spokesperson Terry Thornton said the checks are not just for suicide prevention, but also for the security and welfare of the inmates. Martinez’s letters indicate he’s not convinced. “These security/welfare checks are counter-productive to their so called intended purpose (mental health care) and serve zero legitimate penological purpose other than to harass and mentally torment us prisoners. (Note: we are unable to sleep as we are awoken every 30 minutes),” Martinez wrote. In a response to a cease and desist letter regarding the checks, Warden Clark Ducart, cited a May 2014 CDCR memorandum saying the checks were to further CDCR’s efforts to combat inmate suicides. According to a May 2013 memorandum, correctional officers will perform “three welfare checks per hour at staggered intervals not to exceed 30 minutes” on prisoners held in segregation units like the SHU. In 2013, prisoners’ rights advocate group Legal Services for Children raised concerns about the welfare checks causing sleep deprivation and the timing of the policy coming right before a planned prison system-wide hunger strike. This time, the resurgence of the wake-up policy comes weeks before CDCR’s settlement of a class-action lawsuit from Pelican Bay inmates claiming long-term solitary confinement violates their rights against cruel and unusual punishment. As of February 9, 2018, the below 3 cases have now been transferred to Judge Mueller in the Eastern District. There are at least 2 other current federal cases against the checks. 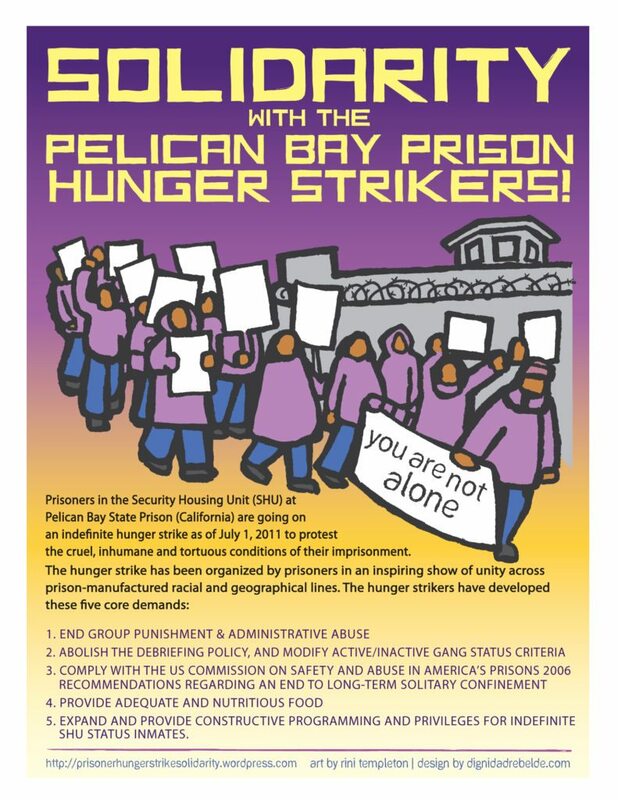 The so-called “security/welfare checks” began in Pelican Bay SHU in late May 2013, right before prisoners there began the largest hunger strike in history (started on July 8, 2013). 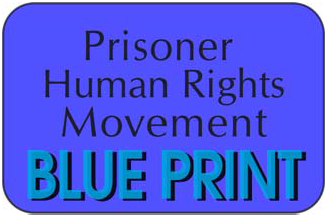 Prisoners reported “They are waking us up every 30 minutes, trying to break us before the strike. But, we’re not going to let it stop us.” The checks ceased before the hunger strike yet started up again just as the Ashker v. Brown prisoner civil rights class action settlement (initiated in Pelican Bay) was finalizing in August of 2015.